Let your synthetic field give its best performance. Introducing TempLine™ Premium Grass – the best and brightest. Looking for Eco Chemical? Our website has moved. 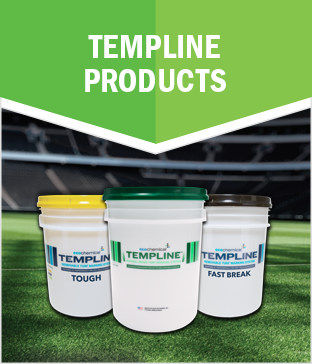 TempLine™ offers both natural grass and synthetic turf marking products. Our paints are widely recognized as the quality standard for both appearance and performance, in terms of play and weather durability, without interfering with field play characteristics. Synthetic turf fields present additional challenges for field management, especially when the field is hosting multiple sequential sports events, requiring frequent, rapid marking changes. Managing athletic fields under these circumstances means managing risks in scheduling, choice of materials, procedures, and costs. Our Synthetic Field Marking Systems can help you reduce risk while delivering superior results. 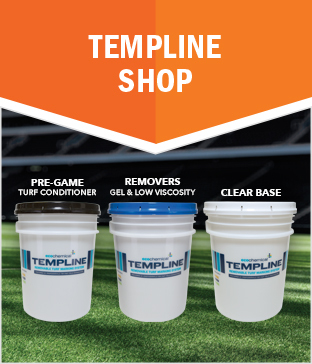 TempLine delivers a complete solution including materials, equipment, and technical expertise for synthetic field preparation, painting, and paint removal. TempLine products, equipment, and experience combine to provide a thorough, low-risk, systematic approach to turf painting and removal. TempLine provides you with a finished product you can take pride in, along with better control over risks along the way. 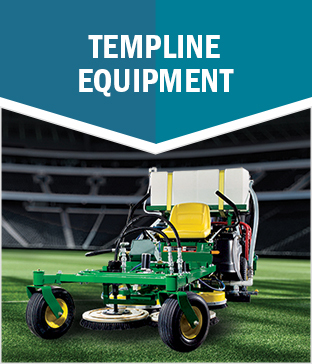 Complete your TempLine™ system with TempLine™ Equipment. TempLine is a product of Eco Chemical, Inc.